plans for your welfare and not for woe, so as to give you a future of hope." The Parish Pastoral Council is the apostolic vehicle that represents the People of the Parish. In communion with one another, twelve individuals meet monthly to deliberate and decide by consensus, those matters that affect the good of the total Church as witnessed through this Parish. 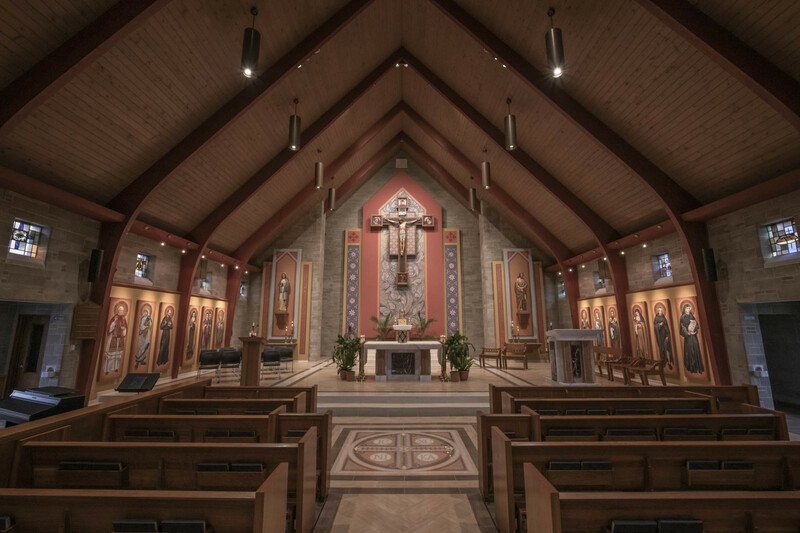 Its function is both pastoral and administrative in nature, helping to establish vision, set goals, and develop policies for the growth and development of the Parish. Coordinate, encourage, and promote every apostolic activity within the parish through which the community discharges its common responsibility in the field of making the Gospel known. Assure, through its commission, a continuous survey of both spiritual and temporal needs of the individual, the family, the parish, the community, and then establish priorities in developing and implementing programs to meet these needs. Serve as a permanent, flexible structure for constructive dialogue among the priests, deacons, and laity of the parish so that they can work in close cooperation as a truly Christian community in fulfilling Christ’s saving mission. Provide leadership, direction, resources, and encouragement in accordance with the constant and continuing goals of the parish, the Diocese, and the universal Church. Cooperate with and carry out effectively the guidelines and direction given by the Bishop of Wheeling-Charleston. Determine and attempt to utilize the talents of all members of the parish. The Parish Pastoral Council serves a three-year term as a whole. Every three years, the voting members of the Council shall be replaced in their entirety. No one member shall serve more than two consecutive terms. The Council meets the first Tuesday of every month at 7:00 pm in the Parish Center. If a parishioner has a topic for the Council to address, call or email.